Thousands of excited gamers waited in lines stretching around the Anaheim Convention Center, eager to see the future of World of Warcraft and StarCraft: Ghost at BlizzCon. 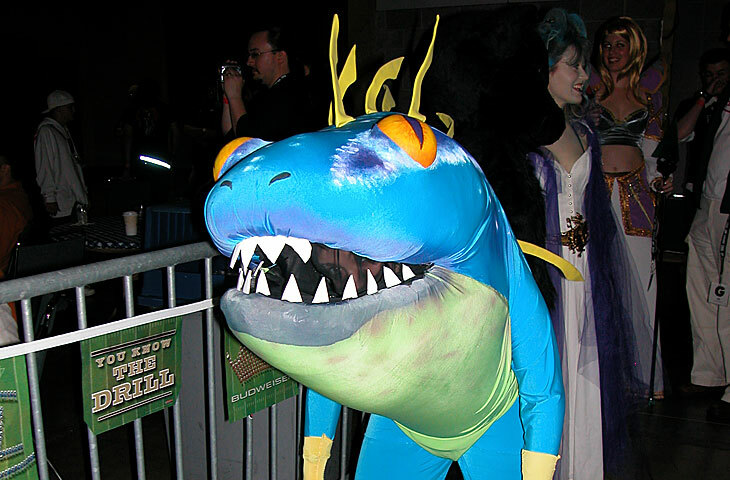 Many of them wore hand-made costumes, and the atmosphere was keyed up as they anticipated the opening of the convention center doors. Blizzard president Mike Morhaime kicked off the show with a welcoming speech about Blizzard's history and growth as a game studio over the years. He also touched on a few of the features in StarCraft: Ghost that attendees would be able to see for the first time at BlizzCon-namely the addition of Zerg as a playable multiplayer race and the fact that multiplayer games can now feature up to 16 players. The welcoming speech was followed by lead producer Shane Dabiri's official announcement of the World of Warcraft expansion. As part of Shane's announcement, BlizzCon attendees watched a trailer showcasing the new playable Blood Elf race that would make its appearance later in World of Warcraft: The Burning Crusade. 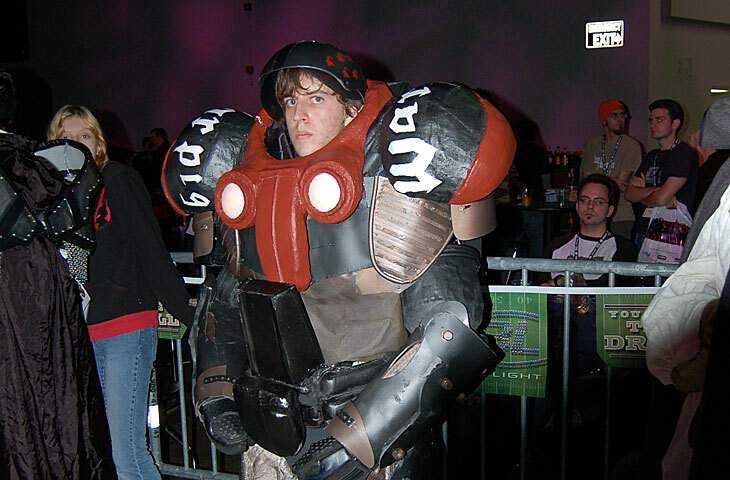 People came from near and far to view the expansion, to see the latest version of StarCraft: Ghost, and to meet the other gamers attending the show. 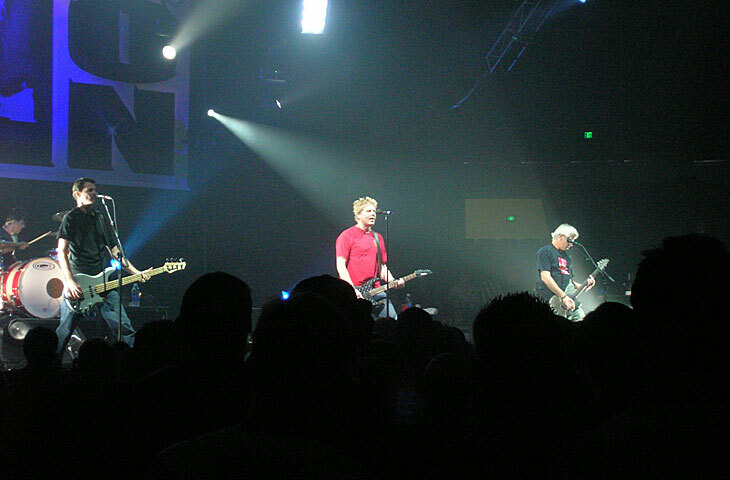 Many were also speaking about the BlizzCon Invitational tournaments, and the seats in front of the stage where the Warcraft III and StarCraft tournament games were taking place were often packed. Pro-gamers from all over the world had traveled to BlizzCon to participate in the Invitational. Other popular events at BlizzCon were the Battle.net tournaments and the art gallery, where a steady stream of attendees checked out artwork from Blizzard's art department as well as fan art created by other gamers. Attendees also enjoyed the Battlegrounds Tournaments, both watching and participating in them. Many also attempted to climb to the top of Blackrock Spire-the aptly named rock-climbing wall at BlizzCon. Later, many people participated in Q&A panels or just hung out on the show floor, saving up their strength for the night's cocktail-and-contest mixer with the development team. 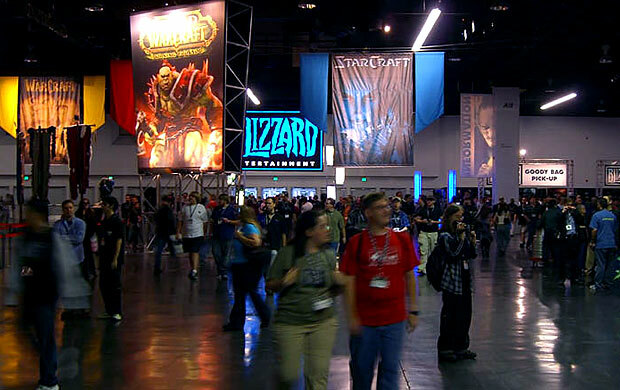 With the second day of BlizzCon taking place on a Saturday, the crowd was even bigger than it was the day before. Whereas the day before attendees had spent some time getting the lay of the land, on Saturday many of them headed straight to the areas they were eager to visit. One of the big highlights for many attendees was the opportunity to check out some of the Q&A panels they might have missed the day before. 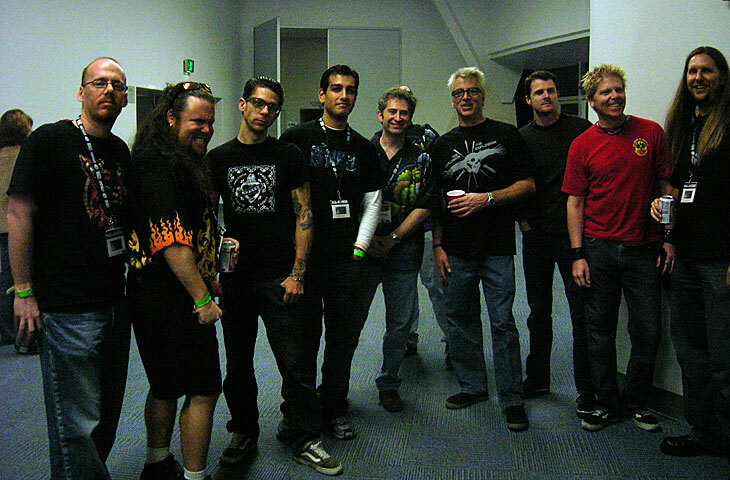 In these sessions, players listened as the developers discussed different aspects of our games, including the history and philosophy behind Blizzard's art design and cinematics, as well as specifics on StarCraft: Ghost's multiplayer elements and World of Warcraft's classes, items, quests, battlegrounds, raids, and more. After each presentation, there was an opportunity for panel attendees to ask questions. In the Art Design panel, members of World of Warcraft's creative development team and StarCraft: Ghost artists presented concept and 3D art to the panel attendees, taking time to explain how the pieces were created and fine-tuned to fit the themes of the Warcraft and StarCraft universes. The World of Warcraft Character Class panel was especially packed, as many of the visitors to BlizzCon had been extremely passionate about the issues related to the classes they play in the game. Blizzard developers Tom Chilton and Rob Pardo explained how each class came to be, describing the natural progression from Warcraft III to World of Warcraft. In their forty-five minute presentation, the two also expounded on the intended purpose of each class and the future of the classes as planned for future patches and for The Burning Crusade. The jousting booth drew a steady crowd, offering players a chance to challenge their friends to a little real-life PvP action. 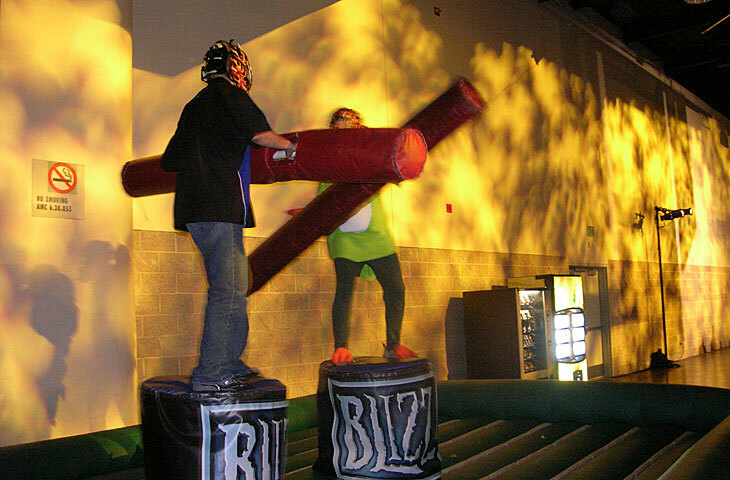 With foam lances in hand, the jousters did their best not to lose their balance while trying to knock each other off of a three-foot-wide square platform. Near the Blackrock Spire rock-climbing wall, a handful of onlookers gathered to watch a few games of doubles Ping-Pong, played on one of the three Ping-Pong tables brought in for BlizzCon (fun fact: a fast-paced match of Ping-Pong is a favorite stress-reliever at Blizzard's Irvine headquarters). The sponsors' area was crowded, with hundreds of attendees stopping in throughout the show to check out the NVIDIA, Intel, Games for Windows, Upper Deck, and other booths and to pick up rubber bouncing balls with blue lights inside of them, which proved to be pretty popular souvenirs. Nearby, caricature and tatoo artists kept busy, as attendees had their portraits drawn or got temporary tattoos to prove their allegiance to their favorite World of Warcraft race. Those not participating in these events were taking a chance to rest up for the night's concert presentation, which was set to start at 6:00 PM. 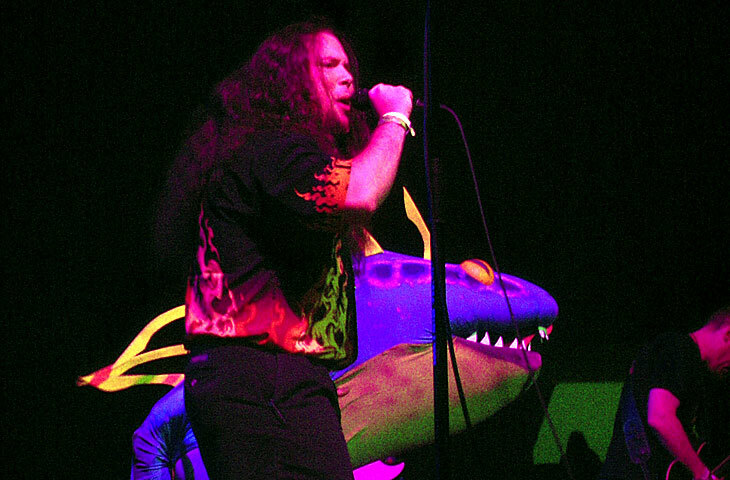 The concert featured Level 60 Elite Tauren Chieftain in their first appearance outside of Kalimdor, as well as comedian Christian Finnegan, and none other than the world famous rock band, The Offspring!